Avazoo.com | Home of the World's First BILLION DOLLAR Raffle! Avazoo.com – Home of the World's First BILLION DOLLAR Raffle! You can win $1,000,000,000 (One Billion Dollars)! Only 50 million tickets and a 1 in 3 chance of winning a cash prize! Play and make a difference to others: 70% of our gross profits will be donated to non-profit organizations and third world countries to improve lives. Some may think the Billion Dollar Raffle is all about making money. Well, that’s actually true! We are counting on human greed, and the fact that many people from around the world will get caught up in the dream of becoming one of The World’s Billionaires. What Cause Can Possibly Be So Important? The Answer is simple. We want to help people, and at the same time change the world for the better. With Diseases, Poverty, War, Natural Disasters, Climate Control and more all on the rise, the world is at a breaking point. It’s so easy to play in our Billion Dollar Raffle! Anyone in the world can take advantage of our unique program, and receive free entries to maximize their their probability of winning a prizes. With a 1 in 3 chance of winning a cash prize that means over 16 Million Winners. Through the First Billion Dollar Raffle business model and guarantee 70% 0f all players money will be held in a third-party escrow account, and audited in compliance with the regulators of our Online International Raffle license. Only 50 Million Tickets Worldwide! 1:3 Odds of Winning a Cash Prize! Avazoo was originally designed to raise money for new children’s foundation, but quickly realized that it also could raise BILLION OF DOLLARS FOR OTHER CAUSES. It is human nature if somebody could receive something for giving, they would give quicker and more than normal. Hence, Avazoo will host the world’s first BILLION DOLLAR RAFFLE. (Based on the recent $1.6 billion Powerball Lotto, we estimate that this will be a 4-month long event.) With your help, we’ll be able to DONATE $2 BILLION to support various causes, such as a new worldwide disaster relief program. Think of Avazoo as an ATM machine donating billions of dollars to aid charitable organizations worldwide. 70% of each membership ticket sales will be held in a third party escrow account for final disbursement to the lucky winners and our causes. The remaining 30% will be used for monthly bonus prizes, marketing and advertising cost, plus licensing fees and operational costs. Our expenditures will be posted on the company’s website for the world to see. 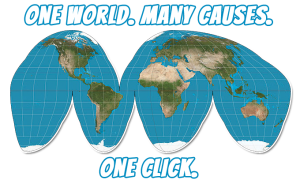 For nearly a decade our group has worked diligently to obtain a worldwide license that would enable us to help the world with a legal raffle that would award one billion dollars to a single winner, with a large portion of the proceeds going to various worldwide charitable and humanitarian organizations, such as the AIDFound.org, the world’s first disaster relief fund. With license in hand, we are excited to begin the Billion Dollar Raffle event! One of our goals is to address the significant increase in natural and manmade disasters. All too often though, everyone affected is caught off guard with insufficient funds to address the immediate emergency needs. Relief and rescue tends to be limited as government authorities and private charitable organizations scramble to raise the needed funds. Why does this all happen? The simple fact is there is no organization or fund set up and dedicated strictly for disaster relief. Funds have to be shuffled around, reallocated, and/or even raised through concerts and other fundraisers. To add to the problem, the communication between the government and private sectors can be strained during such times. We want to change all of that. We intend to generate large donations for various charitable causes, including a special fund we have setup to serve as the world’s first dedicated international disaster relief program. This program will provide much needed funds to organizations involved in disaster relief efforts. It is our hope that we can fund efforts sufficiently, so that such organizations can do what they do best — help people — instead of worrying about raising the funds necessary. We hope you will join us in making future disaster relief efforts (and other charitable causes) more effective. Dr. Hans Reinisch has a more than 25 year track record in worldwide CEO positions in Europe, Australia, Caribbean and the US. In one of his Top Fortune 500 enterprises, he served as a Managing Director and CEO of EMI Music/Capitol Records in Europe. Several additional ventures in media and entertainment industries and various entrepreneurial tourism developments all around the world complete his impressive resume. 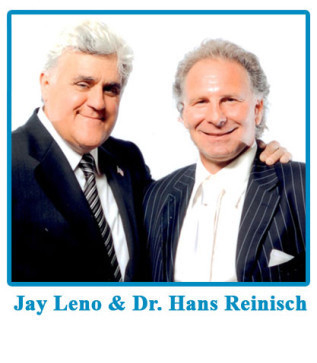 Avazoo is proud to be led by Dr. Hans Reinisch with his international experience in the entertainment industry, respected by worldwide entrepreneurs, organizations and top celebrities. His PhD in Management and passion for philanthropy makes him to the perfect choice as the CEO of our company. Our mission is to help those whose lives have been turned upside down because of their own personal circumstances, illnesses, and/or natural disasters. By coming together as one around the world, we can overcome these challenges and make a difference to the less fortunate. In order to do so, we have designed a raffle game where worldwide patrons can participate in our mission through making a membership donation and very possibly be rewarded for their effort in helping others. We did not reinvent the wheel; we just put a new twist on it. Just as most lotteries around the world give to educational programs, Avazoo will give back to the world through a Billion Dollar Raffle event that we estimate to be four months long. This will become known as the world’s largest charitable event ever and will continue for years to come. This will be accomplished as 70% of Avazoo Membership donations will be held by third-party worldwide-recognized auditing firms, and all donations will be issued directly to the designated charitable causes within 30-days of the first Billion Dollar Raffle drawing event. Based on the recent $1.6 billion Powerball and the big European lottery, as well as statistical data from around the world, if all 50 million membership tickets are purchased within the game’s timeframe, we estimate that there will be approximately $2 billion ($2,000,000,000) available to be disbursed to multiple charitable causes, toward climate control efforts, children’s foundations, grants, third world countries, and the world’s first natural disaster foundation, AIDFound.org. Considering this, we hope that, in addition to purchasing your membership ticket, you will join us in additional upcoming events where your participation will make a change to many different causes and help us improve people’s lives. By the way, you have the option to either have your winnings donated in your name to a charity of your choice or to assign your ticket winnings to the Philanthropy Board (which will then apportion it to various charities). Legal and Ready to Go! 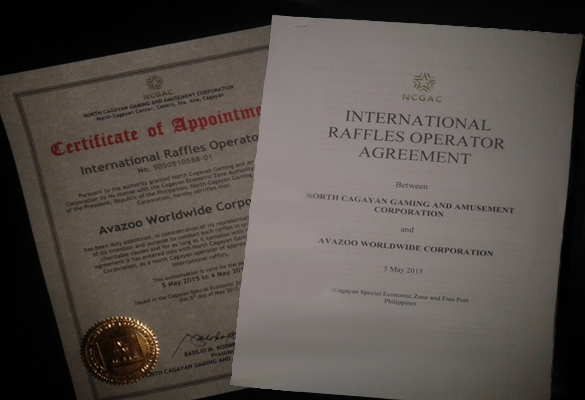 Finally, after nearly a decade of dedicated effort to receive a worldwide raffle license for charitable purposes, North Cagayan Gaming and Amusement Corporation, under its license with the Cagayan Economic Zone Authority (CEZA) of the Philippines, has appointed Avazoo as an official International Raffle Operator! 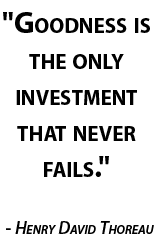 (We are officially listed as one of NGCAC’s official appointed operators here.) We are ready to launch the first worldwide charitable raffle drawing that will not just benefit tens of thousands of people around the world… One lucky person will become a Billionaire and another 100 winners will become Millionaires! Securing a license has had its challenges along the way; in fact, there were many times we nearly threw in the towel. However, keeping the faith and belief in the Lord Almighty, we was finally issued a licence with a licence number that had a special meaning to the founder. The licence number awarded contained many number fives in it, which he feels is very lucky. Even more interesting is the fact that the licence was issued on 5/5/2015, containing three fives in the date of issuance. A year after being issued the license, we can finally start selling tickets since we now have met all of the regulator’s requirements. We are all excited and thankful that we were blessed with such lucky numbers. 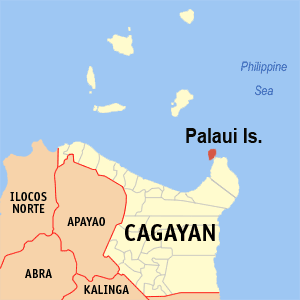 Cagayan is a beautiful province of the Philippines and we highly recommend visiting this area. It is blessed with unspoiled beaches and picturesque islands. Cabo Engaño, one of the most beautiful locations in the province, will be home to the administrative office of Avazoo Worldwide Corporation and the fully licensed Billion Dollar Raffle! We are in the final process of opening our offices in Cagayan, and once we have launched and are up and fully operational, you will be more than welcome to stop by anytime to visit our facilities and meet our hardworking staff, if you are ever in the Philippines. 2 for 1 !!! Reserve your membership and double your entries. To discover which level of membership is perfect for you and make your pledge now ! We have money to give away! Nominate a worthy cause… Seeking Beneficiary Applicants! Do you need money for your foundation? Become an Avazoo Beneficiary. How to Play, The Billion Dollar Raffle! No Risk or Obligation! No money needed to reserve your entry! Hurry to double your entries! Don’t miss your chance to become an INSTANT BILLIONAIRE with the world’s VERY FIRST and Only BILLION DOLLAR RAFFLE!